That is a wonderful reminder of how ACT clinicians ought to see their role in working with clients! The line is from a paper titled The Work of Recovery on Two Assertive Community Treatment Teams by Salyers et al. In it they explore how to best measure recovery orientation. Looking at two Indiana ACT teams and using observational measures and interviews over time, they identified “Recovery Critical Ingredients” in four areas: Environment, Team Structure, Staff Attitudes and Process of Working with Consumers (see table below or click to view online). Some recovery measures are more objective, such as rating the environment looking for such features as “Open waiting area, posters about recovery, posted team mission included recovery” versus “Separate waiting area and bathrooms, several signs with rules posted.” More challenging to quantify are Staff Attitudes, which included looking at components of Positive view of Consumers, Positive expectations of consumers and Strengths-based Language. So, should all teams be striving to become more coaching/recovery-oriented? The answer isn’t as clear as one might think. I’ve touched on this issue in previous blogs – in Tough Gig I expressed my view that “Perhaps the most important role of the team leader is to set the underlying direction for the team. Is our team focused on long term recovery or are we more focused on medication treatment and stabilization?” In the blog Forcing Treatment and addressing the issue of outpatient commitment I wrote” I believe forced treatment is of value. I don’t believe my conviction in any way diminishes my firm belief in recovery principles and client-centeredness. At times it’s the illness, not the individual that’s making the decision to refuse treatment. The goal of forcing treatment is to allow the individual to find their healthy, true voice”. Are we maintaining our recovery orientation? Does everyone on the team have to be of the same mindset? As always thank you for your time. Happy Holidays! There isn’t much simple about Motivational Interviewing. Yes, there are ‘simple’ reflections, but, as Bill Miller points out, learning to form them isn’t simple. Throw in using summary and double-sided reflections, mastering reflective listening, using open-ended questions, being continually aware of engagement with the client, listening for change talk, understanding ambivalence… well it’s complicated. “One thing that is relatively clear at this point is that self-study or attending a single workshop is unlikely to improve competence… Reading or a single workshop can increase knowledge of MI, but there is little reason to believe that it will instill skill. Worse, we know from firsthand experience that if we imply that participants will become skillful in MI through attending our workshop, they are likely to believe mistakenly that they have learned it. ACT teams provide a perfect forum for ongoing MI skill development; a group of clinicians who are together daily, working with common clients. Then there’s the secret ingredient for success – a team leader who recognizes and embraces the importance of making MI skill development not as something special, but rather as a normal expectation of all staff, like charting and being at morning meeting. There is a second ingredient that I believe can make this task even more successful – that the team’s psychiatrist be involved. The psychiatrist practising (and teaching) MI can really help teams take it to another level. 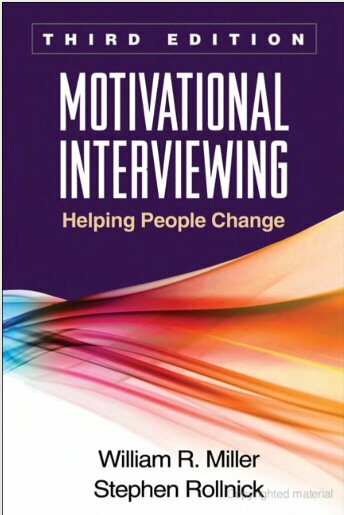 If you’re unconvinced as to the value of training ACT staff in MI read Manthey, Blajeski & Monroe-DeVita’s 2012 paper Motivational Interviewing and Assertive Community Treatment: A Case for Training ACT Teams. You can find a wealth of info at www.motivationalinterviewing.org. Check it out. We are delighted to have Dr. Lorna Moser as a guest contributor to the interACT blog. Lorna Moser, Ph.D. is the Director of the North Carolina ACT Technical Assistance Center at UNC-Chapel Hill’s Center for Excellence in Community Mental Health. Lorna is the co-developer of the Tool for Measurement of ACT (TMACT), a comprehensive fidelity assessment tool, and has been working on, researching, evaluating, and/or training ACT teams for the past 16 years. – Really embrace the idea of being a “team player,” such as helping someone fill out job applications, or sit with someone at Social Security office for over two hours (“That gave me an appreciation of the many frustrations our folks deal with on a day-to-day basis”). – Are willing and wanting to tap into their clinical training, and make it a point to provide therapy (as opposed to symptom, side effect, med checks).